The average cost of memory care in Greencastle is $4,350 per month. This is lower than the national median of $4,650. Caring.com has helped thousands of families find high-quality senior care. To speak with one of our Family Advisors about memory care options and costs in Greencastle, call (855) 863-8283. Greencastle, Indiana is home to 10,000 residents, roughly 15 percent of whom are 65 or older. Across Indiana, there are 110,000 seniors with Alzheimer's disease. In Greencastle, there are four memory care facilities serving its residents with Alzheimer's disease and other types of dementia. An additional 46 facilities are located in Terre Haute, about a 45-minute drive west. Indianapolis offers hundreds of options and is only an hour from Greencastle. Memory care facilities on the state are known as residential care facilities. Senior residents of Greencastle and their families enjoy a true four-season climate, with 180 sunny days per year and annual rainfall and snowfall totals that hover near the national averages. The area's mild weather allows for ample opportunity to explore city parks and other local scenery. The average July high is 84 degrees, and the average January low is 19. Despite Greencastle's reported high violent and property crime rates, senior residents should feel safe in the city. A person's chances of being a victim of violent crime in Greencastle in a given year is lower than one in 2,100. For residents of a secure memory care facility, the probability is likely even less. 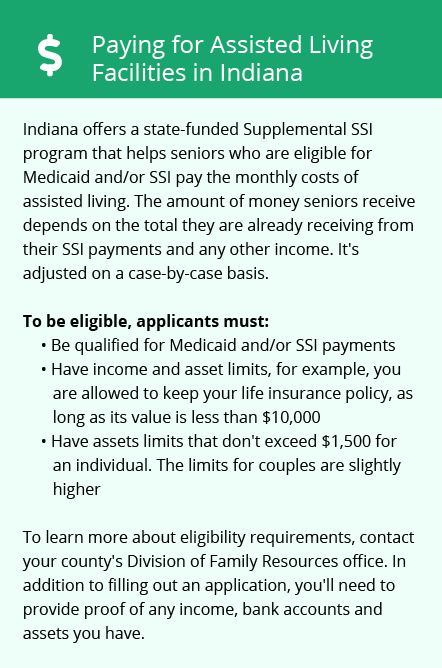 Seniors in Indiana do not pay tax on Social Security income, though the state does tax pension income and withdrawals from retirement accounts at modest rates. Sales tax is a flat 7 percent and does not apply to groceries. Indiana's friendly tax treatment of retirees means more money left over to put toward quality memory care. With a cost of living well below the national average, Greencastle is ideal for seniors and their families with limited financial means. Healthcare, in particular, is highly affordable in Greencastle, costing 13 percent below the national average. Families wishing to relocate to the area to be close to their loved ones will find housing costs one-third lower than in a typical U.S. city. Memory Care costs in Greencastle start around $4,350 per month on average, while the nationwide average cost of memory care is $4,799 per month. It’s important to note that memory care rates in Greencastle and the surrounding suburbs can vary widely based on factors such as location, the level of care needed, apartment size and the types of amenities offered at each community. Greencastle and the surrounding area are home to numerous government agencies and non-profit organizations offering help for seniors searching for or currently residing in an assisted living community. These organizations can also provide assistance in a number of other eldercare services such as geriatric care management, elder law advice, estate planning, finding home care and health and wellness programs. To see a list of free memory care resources in Greencastle, please visit our Assisted Living in Indiana page. 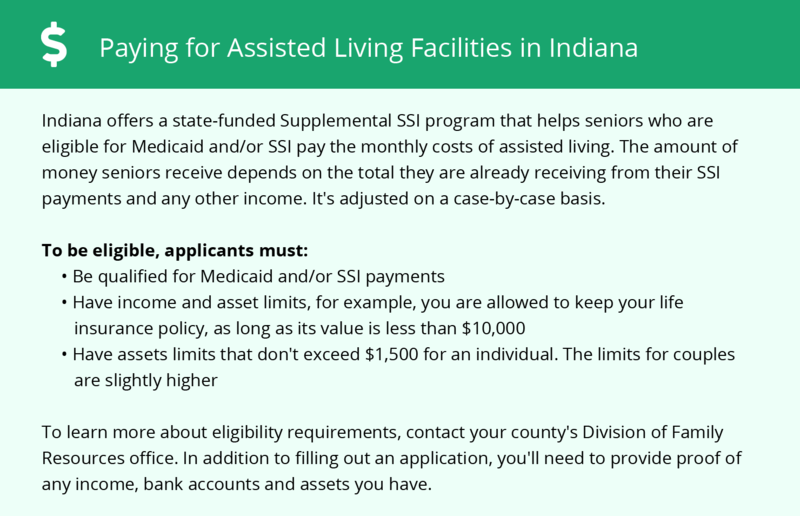 Greencastle-area assisted living communities must adhere to the comprehensive set of state laws and regulations that all assisted living communities in Indiana are required to follow. Visit our Memory Care in Indiana page for more information about these laws.